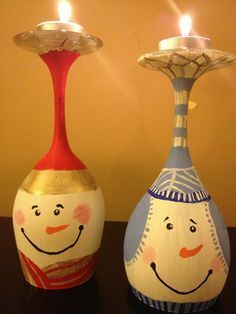 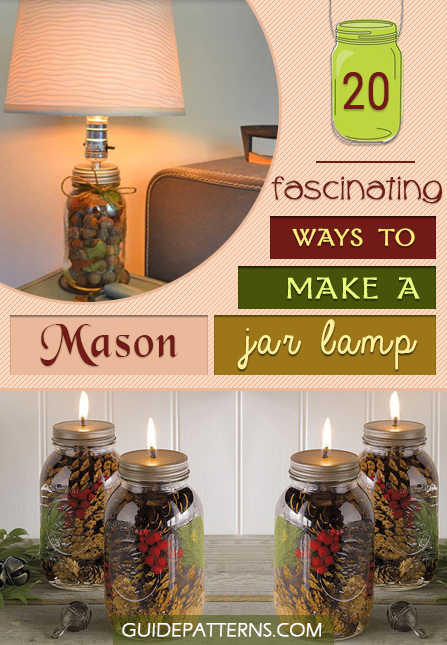 A favorite craft item among the DIY enthusiasts, mason jar can be recycled into anything desired right from household storage stuff to seasonal decor artifacts. 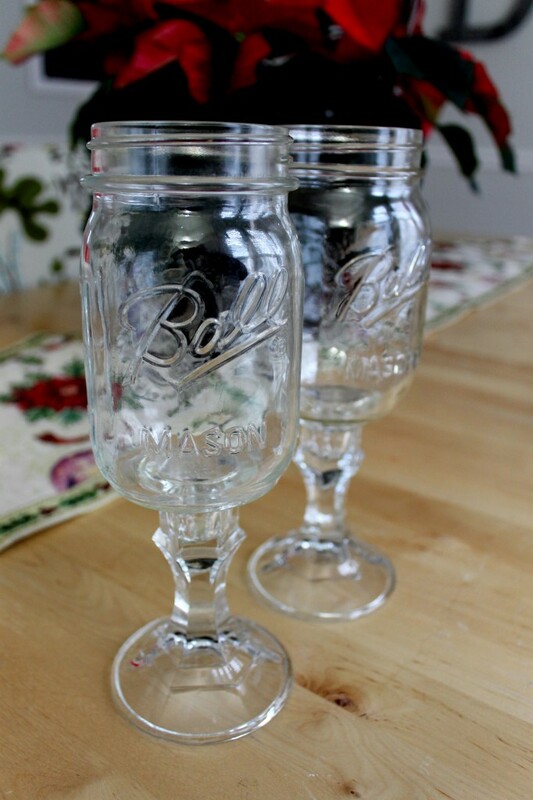 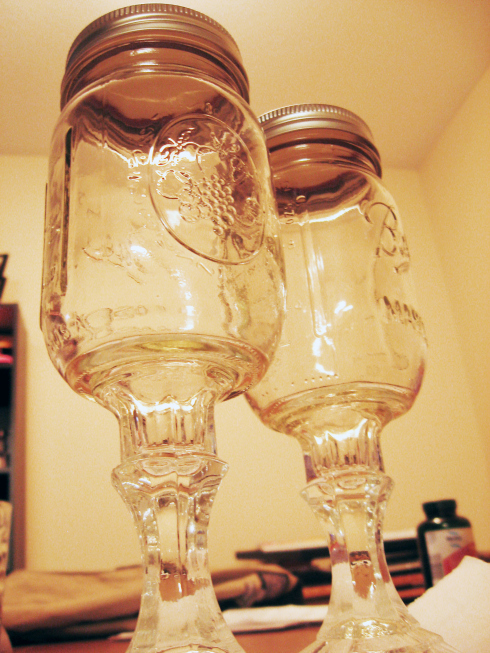 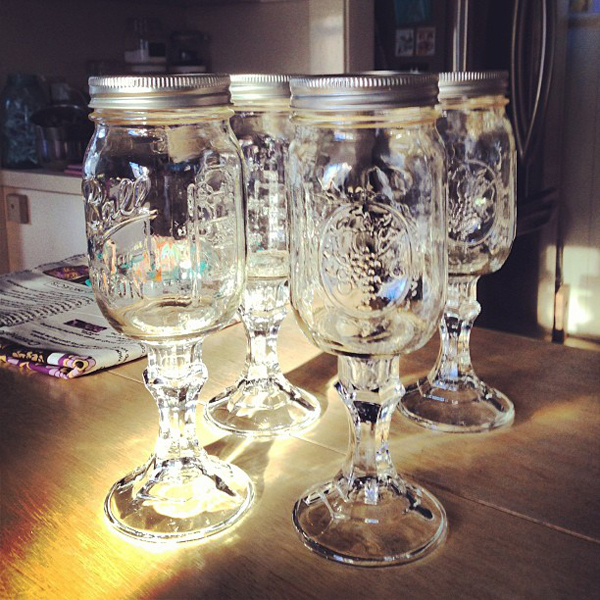 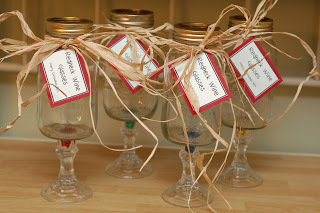 Since there is no dearth of occasions for sampling wine, you can quickly transform the repurposed jars into trendy glasses that give off a countryside flavor in every sip. 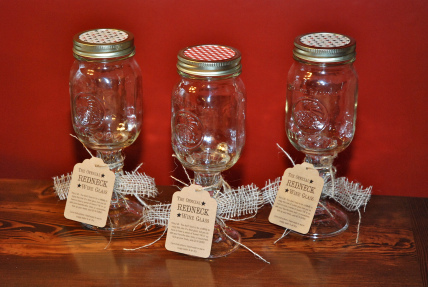 Spread the party cheer with the following tutorials for making the best use of the old mason jars. 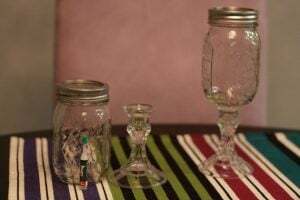 Pull out the heaps of old canning jars locked inside the kitchen cabinet and turn them into glossy stemware, adding some vintage tones to your modern crockery set. An incredibly easy project you can swiftly work upon using a candle stick and a repurposed mason jar to make a rustic wine glass. 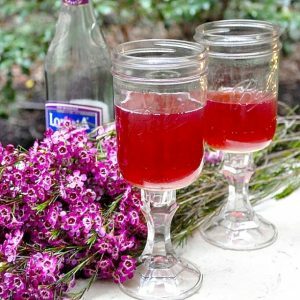 Curl up with a glass of red wine on a cold, freezing day near the fireplace along with your buddies and having interesting conversations for hours. 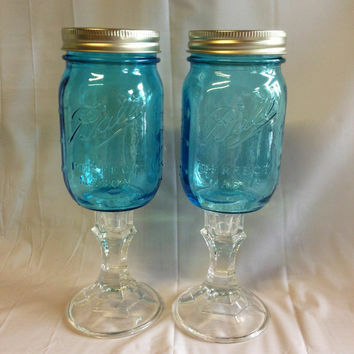 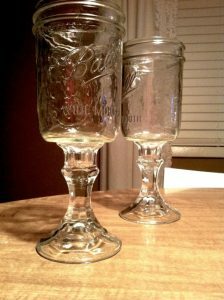 Now that you have a vague idea going about making a sturdy wine glass with a mason jar consider opting for the one with a handle to get a firm grip. Keeping a cluster of these vintage-styled glasses on the table beside a sleek wine bottle gives a holiday-like look amid the chilly, festive winds. Do not forget to finish off the table décor with a few aromatic candles to start the celebration on a cheerful note. 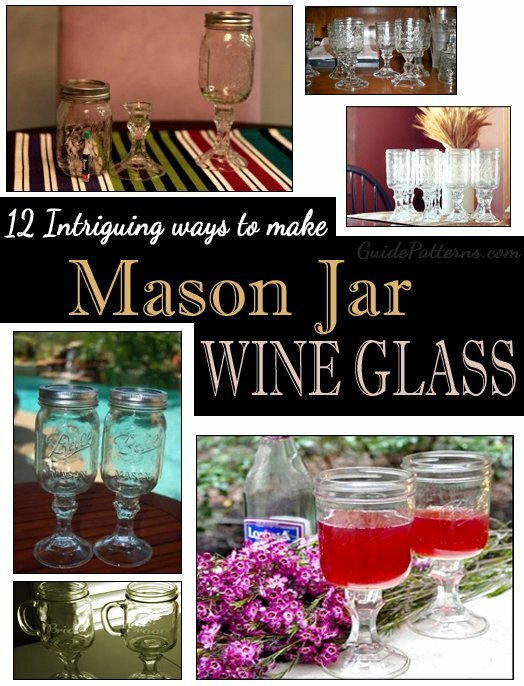 A two-step tutorial for the wine lovers who are always ready to uncork their varied collections of full-bodied beverages stacked up on their wine rack at the drop of a hat. Single out canning jars inscribed with unique patterns for crafting elegant holders for wine rather than the plain ones. 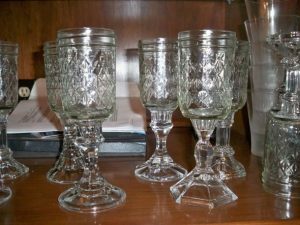 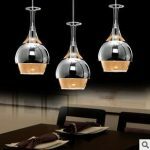 These glassy drinkware coax you to make more trips to the bottle as it’s not always necessary to wait for an occasion for savoring some wine. 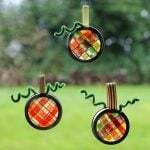 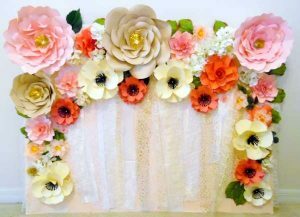 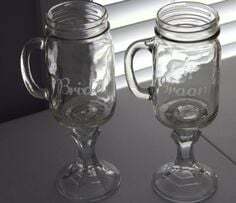 Use chalkboard paint to write numbers or thoughtful quotes on the glasses and decorate the base with colorful buttons or sequins and gift the entire set to someone on his milestone birthday or anniversary. Have you a glass engraver at home? Imagine how touching it would be to give someone a couple of handmade mason jar wine glasses with their names etched on it. 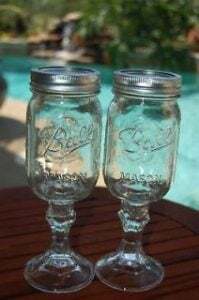 Raise a toast for the dear couple, including these marvelous glasses as an exotic party favor into their aesthetic wedding décor and having a gala time as well. Unlike the typical glasses that you see at anyone’s kitchen shelves, these uniquely designed wine holders come with a yesteryear throwback design. While you play the perfect party host serving the flavorful wines, your guests can continue complimenting your unconventional DIY craft.